Threading is an ancient method of hair removal originating in Central Asia and India. 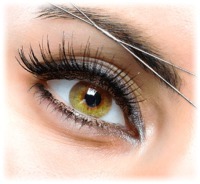 Eyebrows threading technique is used to remove hair using twistted piece of cotton thread. We use only Organic Cotton for sensitive skin.